Another match from the ARMS Party Crash Bash has finished, which has resulted in Mechanica moving on to the next round. The character took down Dr. Coyle by a final tally of 53% to 47%. 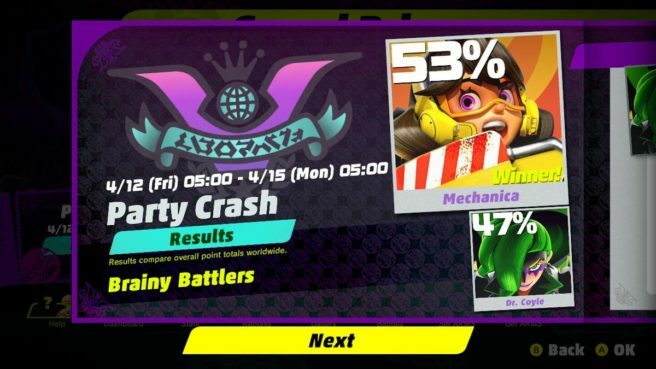 Mechanica will be moving on to battle Ninjara in the semi-finals. We’ll let you know when that event will be happening.